Hedge trimming! It can be dangerous! If your trees or hedges are tall and you use ladders or scaffolding to reach their top and trim them, think about how unstable they are and how an insignificant move can cause you to fall. To prevent such dangerous situation, call our company and hire our professional hedge trimming service. 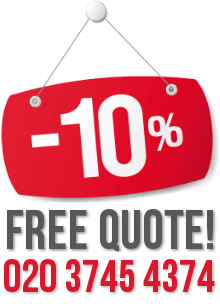 We are offering you the best one in Finsbury Park, and what is more, our prices are also very affordable and budget friendly. 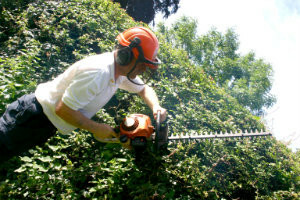 Our company is offering you all year round hedge trimming service. It is recommended that everyone should have their hedges, bushes and trees trimmed at least once or twice a year, depending on their type. And you can feel free to hire our professional hedge trimmers to do it for you. They will come equipped with all kinds of modern trimming machines – electrical, extended, etc. They will adequately decide which is the best one to use for your garden, and will get to work. Thanks to the machines they use, they will trim effortlessly and quickly. At the end, they will of course clear after themselves. We are also available for landscape maintenance. Our gardeners will work under your directions, so if you have any special requests regarding your hedge trimming, feel free to tell them what and how you want it. 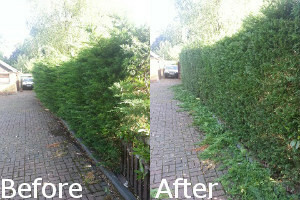 Give us a call now and book the most convenient and fairly priced hedge trimming service you will find in Finsbury Park.